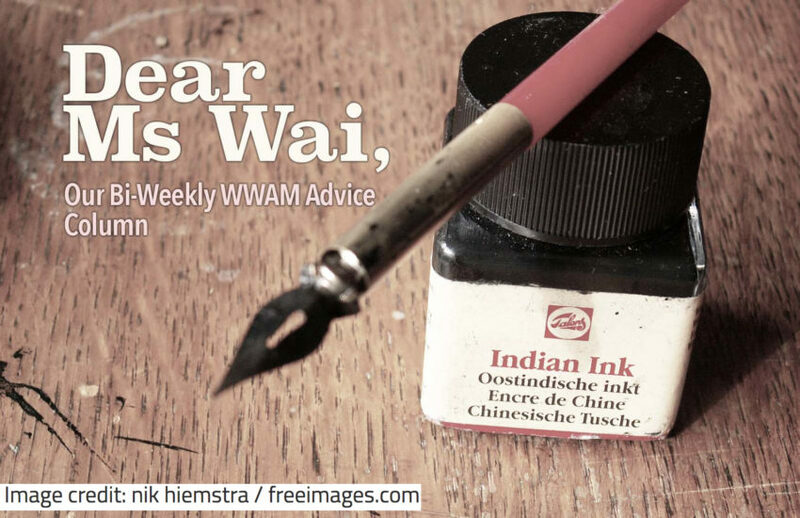 Dear Ms. Wai - Money Problems | WWAM Bam! I’ve been dating my Chinese boyfriend for two years and things are going great. We are planning to get our “little red books” (ed: that means married) in the fall after I finish grad school. We’ve been living together and share everything, including money. This is where our one problem comes from, but our problem is so big I’m afraid it might destroy our future. Since I’m a student, I don’t have a full-time job or income. I tutor from time to time, but just for a little extra money. Rent, food, my expenses all comes from his salary. It’s fine, we are both frugal and prefer a simple life, so living on one salary isn’t a problem. Until last week. I tried to get some money and he said there wasn’t any in our account. I asked him about it and he said payday was a week away and we’d just have to make due on whatever was left in our wechat wallet until then. I’m quite careful with money, and keep track of our expenses so I knew we should have had several thousand RMB in that account. After I pressed him for awhile, he finally admitted he gave it to his parents. He said it was the duty of a good son to provide for his parents and support them. I get it, but here’s the thing: his parents have plenty of money! They don’t need ours! They live in a big house and his mom’s “hobby” is going shopping. I was incredulous. How could he just give them all our money?! He said he needs to support them regardless of their lifestyle. But what about our lifestyle?! he said he made sure our rent and phone bills for the month were paid, and he would get his next paycheck before we needed to pay more bills, but still! I’m also extremely mad at him for sending the money without even telling me. We never make a big purchase without telling the other, yet he sent thousands of RMB without mentioning it. I’m even kinda mad at my future in-laws for accepting it. If it was my family, my mom would never accept the money knowing we are a one income household. It’s not like my in-laws are stingy. They will throw big banquets for special events and once bought us a sofa. But why did they accept the money? They know our situation too so they know we need the money ourselves. And knowing my future Mother-in-law she used the money to buy a new pair of shoes or something equally meaningless. I was really upset and cried the whole night. He never even said he was sorry. He said it was his “duty” and that I had to accept it. But how can I accept him just spending all our money like that! How can I trust him? 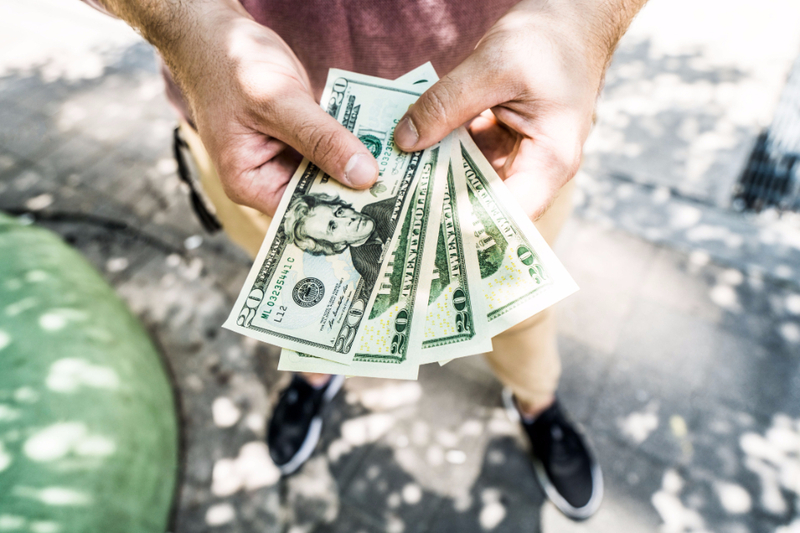 Money is one of the most common reasons for divorce and in a cross-cultural relationship it’s even worse. If you want to start the marriage off on the right foot, you need to talk about this now, before you get the little red books. In China, kids are raised with the idea that they will take care of their parents (financially) when they get old. It’s expected and your boyfriend is just trying to be a filial son. he grew up with the idea that his parents sacrificed everything for him, so now he has to sacrifice for them. for him, going a week without money is a small price for all those years of care his parents gave him. But you need to show him that you need to be included and you need to plan this together. Even though you need the money more than his parents, he will probably get very upset if you insist you don’t give them money. You’re basically telling him to be a “bad” guy and he won’t be happy about that. You can find an amount that is enough to satisy his filial piety conscious, but will leave you something as well. And if he balks about lessening the amount, just remind him that after you graduate you can get a job and he can increase (slowly) the amount he gives them. Tell him you appreciate the respect he has for his parents and putting family first, but if you are going to get married he has to respect YOU as his family too, and that means having more money than the bare minimum needed for survival. It might mean a few nights of uncomfortable conversations, maybe a few tears, and some compromises on both sides, but working through your financial plan now, before you get married, will hopefully make things easier in the long run. You coudln’t really change the guy’s mind on things he have been growing up with, unless he wants to accept changes himself. If he is not willing to understand your culture, there is no in-between to work on.